Executive Mid Back Managers Chair with Locking Tilt Control and Pneumatic Seat Height Adjustment. 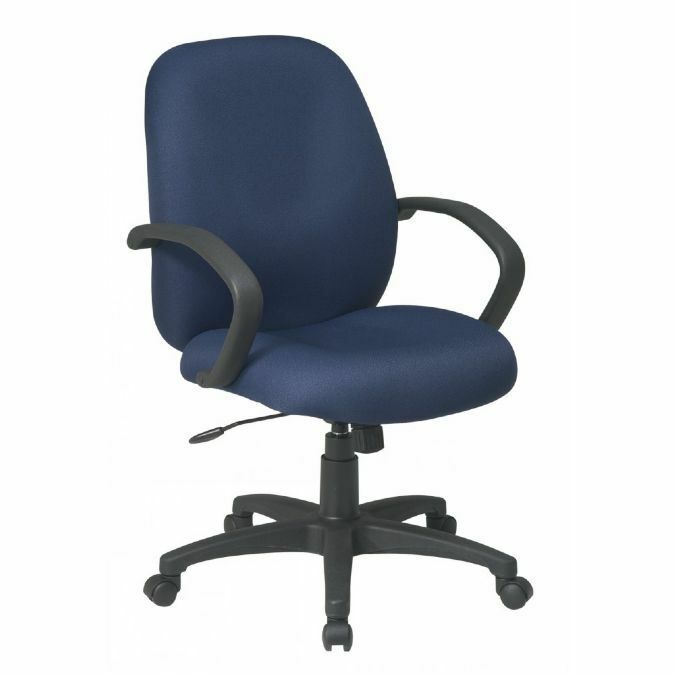 Thick Padded Contour Seat and Back with Built-in Lumbar Support. Heavy Duty Nylon Base with Dual Wheel Carpet Casters. Arms to Floor Min:............................. 26"
Seat Height Min: ................................ 18"